NEED HELP OUT? 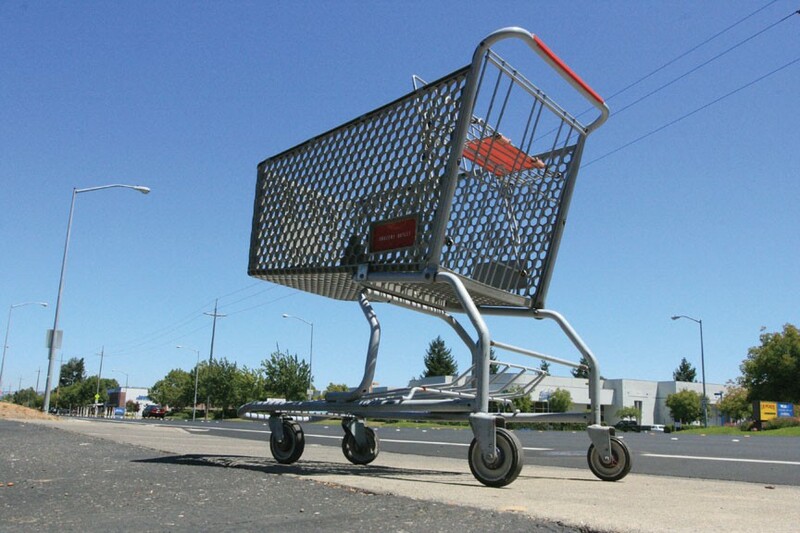 Abandoned shopping carts along Santa Rosa Avenue underscore the need for closer grocery stores. Mark Moose walks quickly. He's got to; since his truck was stolen a while back, his legs and rides from friends have been his only transportation, including to and from work as a tree trimmer. But Santa Rosa Avenue is long, and Moose lives far from the strip malls to the north. For Moose, then, getting groceries means walking to Santa Rosa Liquor and Deli and seeing what's in stock. "There's not much variety, that's for sure," Moose says, hinting at understatement. And Moose is by no means alone. The USDA calculates that inside the area roughly formed by Petaluma Hill Road, Highway 101, Highway 12 and Mountain View Avenue, 2,600 people have poor access to affordable, healthy food; 400 of those are low-income, according to the census. The USDA defines the area as a "food desert," the poorest of three such designations in the North Bay, meaning many besides Moose rely on gas stations and liquor stores for provisions. Brittany Thompson of Santa Rosa Liquor and Deli sees customers buying their daily necessities all the time, adding, "Pretty much everyone who shops here is a regular." In a rare respite from intercouncil bickering, the Santa Rosa City Council unanimously agreed to amend Santa Rosa's general plan to ease grocery-store development last month, and the city planning commission meets July 26 to decide the fate of large grocery stores inside the food desert; the changes could mean an influx of chain stores to the area. Meanwhile, the Sonoma County Department of Health Services takes a grassroots approach to the problem, interviewing residents and working with grocers and schools to increase access to cheap, healthy food in the area. "The choices that people make are usually shaped by the choices that they have," says Anthony Taylor, health program manager with the Department of Health Services. And in southeastern Santa Rosa, choices are scarce. County research finds that unhealthy food sources—fast food restaurants and liquor stores—outnumber healthy food sources seven to one. In the rest of the county, the ratio is three to one.